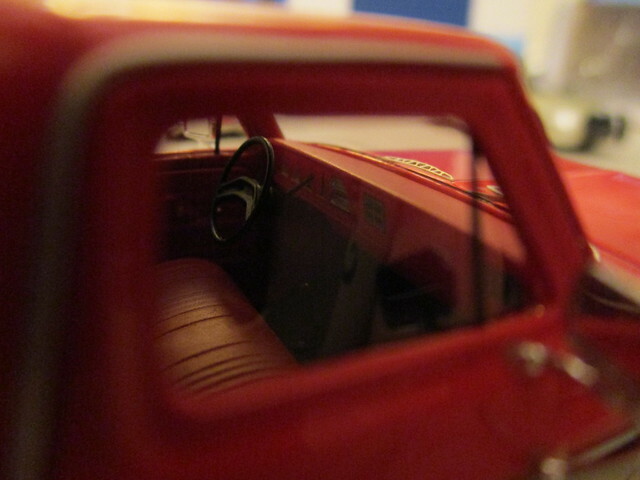 jpgp79 wrote: The Autocult model represents one of the Team Lotus transporters as it was used in the late 50's. The thing is - Team Lotus had significantly lengthened the wheelbase to use it as a race car transporter. Regular Thames 400E vans have a quite short wheelbase. Unfortunately, Autocult did not alter the Thames 400E flatbed model they already had in their model serie (with the original 'short' wheelbase, correct for a regular model). They just put a different paint. Thanks for the background JPGP. 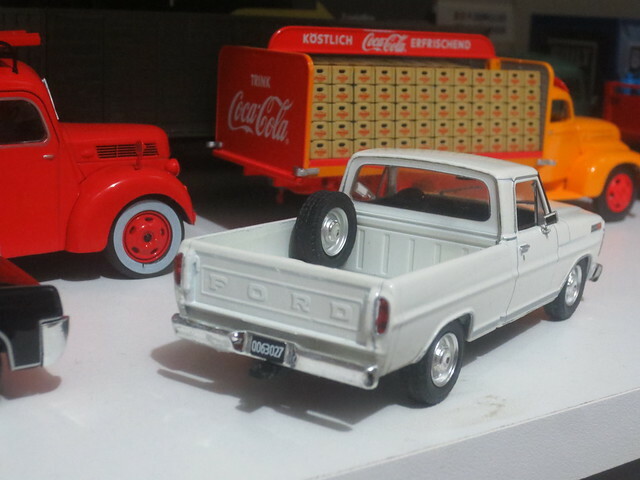 I'm excited to see that the Brazilian Truck partwork series has issues a 1980's Ford Cargo (Cola Cola truck) and 2000's Ford Cargo (sugarcane crop truck). 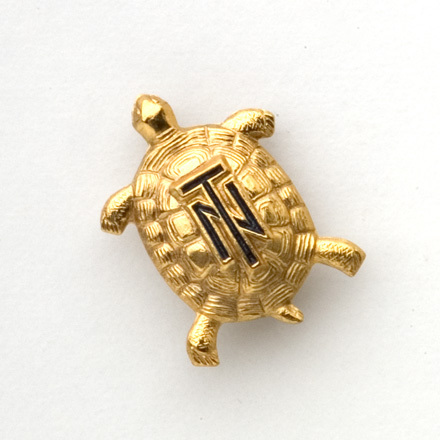 Right now prices on e-bay are too high, but they may come down. 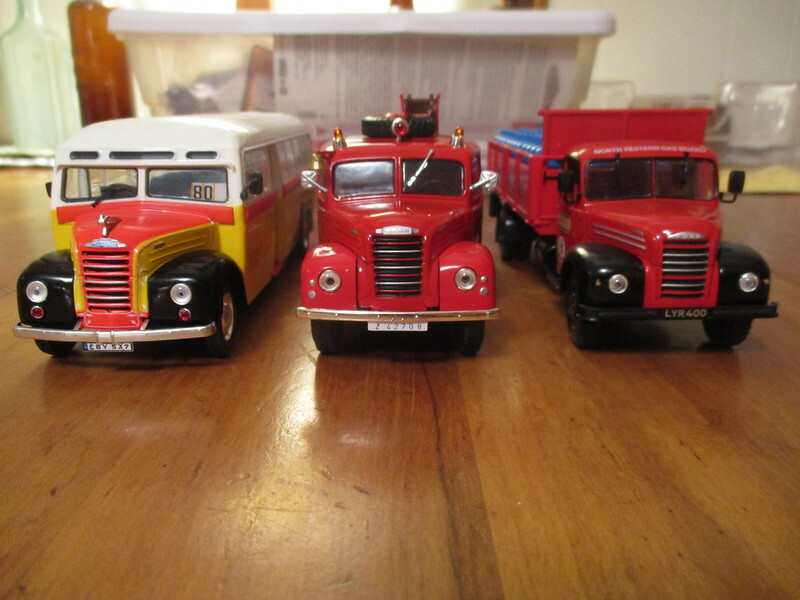 Another bit of good news for me is that Whitebox is now reissuing models from the Brazilian Truck partwork series. No Fords yet, but a Cargo would be great! 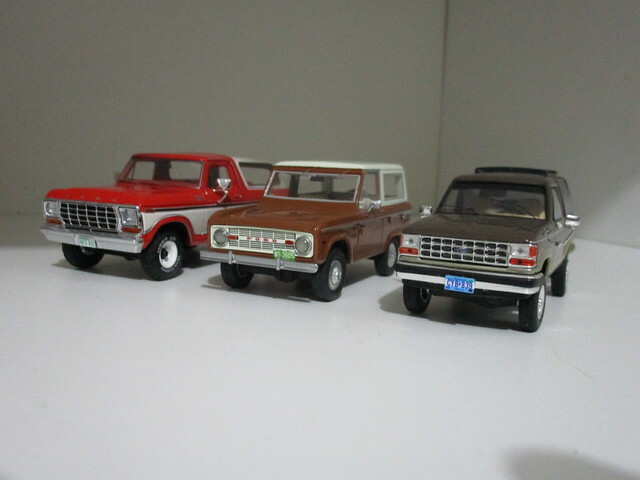 1978-79 Bronco by Neo, Early 70's Bronco by BoS, and 1988-90 Bronco II by Premium X. And you wear checkered flannel shirts every day, right? 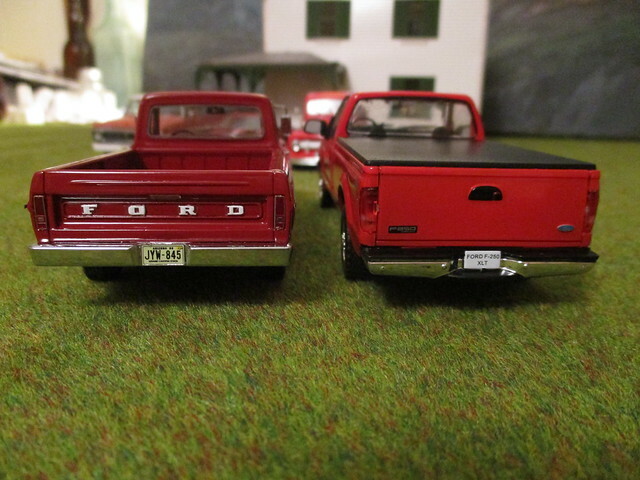 Great looking models of iconic trucks in the Southern US! Almost bought one of the 3 in 1:1 back in '86 but opted for a Pontiac Fiero GT. 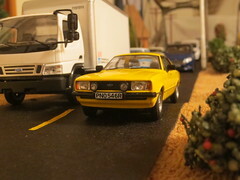 Today I own both of those vehicles in 1:43. 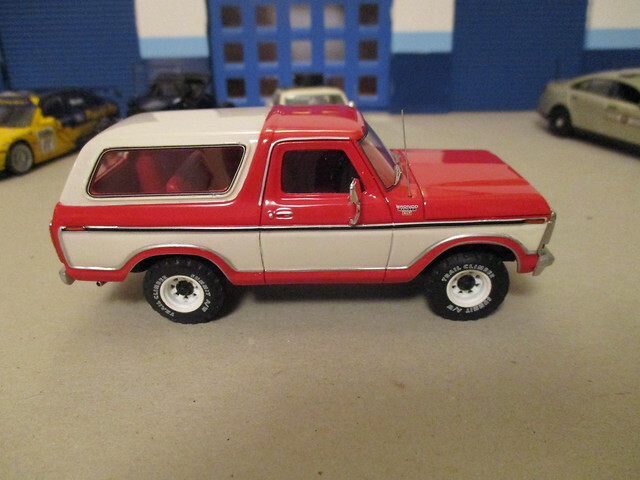 IXO has also do a casting for the 78-79 Bronco. 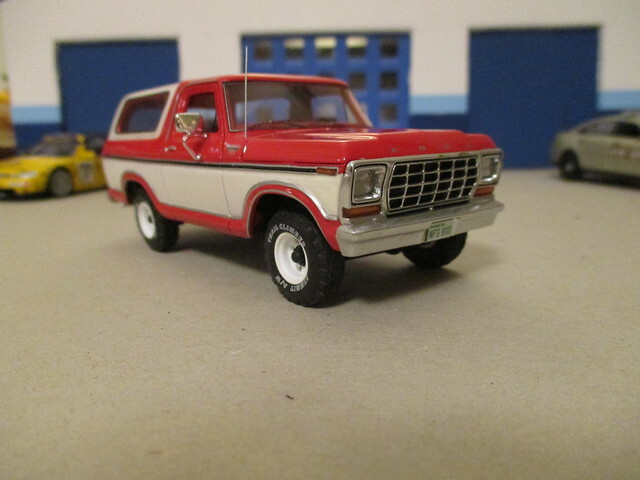 Right now it has only been released in a Mexican partwork series (which is weird because these Broncos were not sold their new), but eventually there should be a Premium X version which I think may be released in blue and white. If you rip the sleeves off Jeff, where do you keep your pack of ciggies? 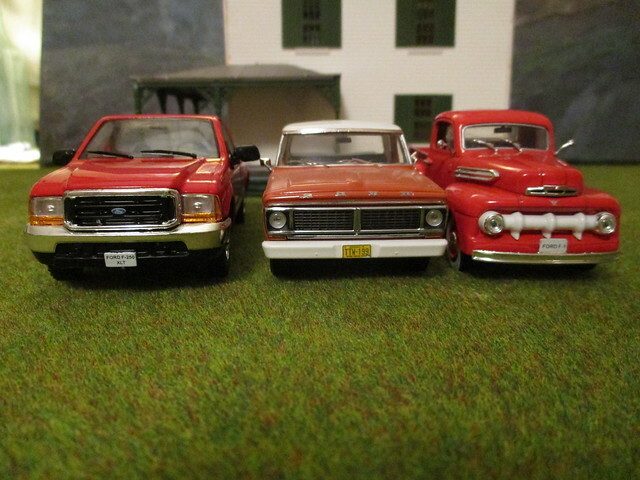 Some random 1:43 Ford truck photos. 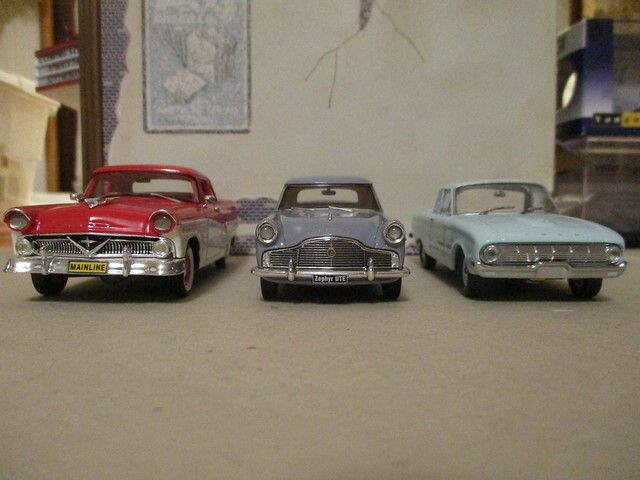 Ford Utes: Mainline, Zephyr and Falcon. 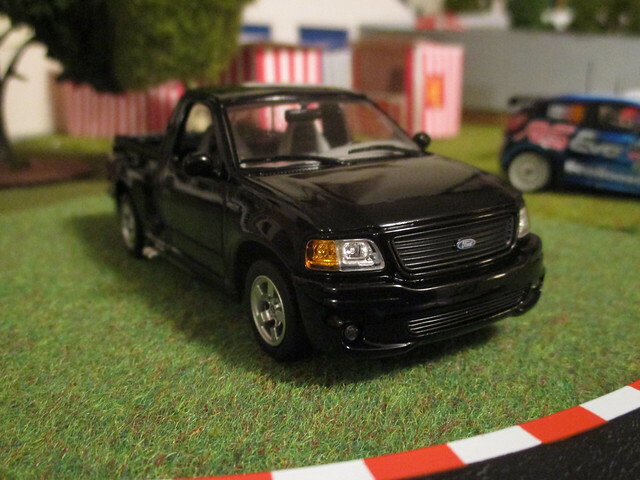 1999 Ford F-150 SVT Lighting by Greenlight. 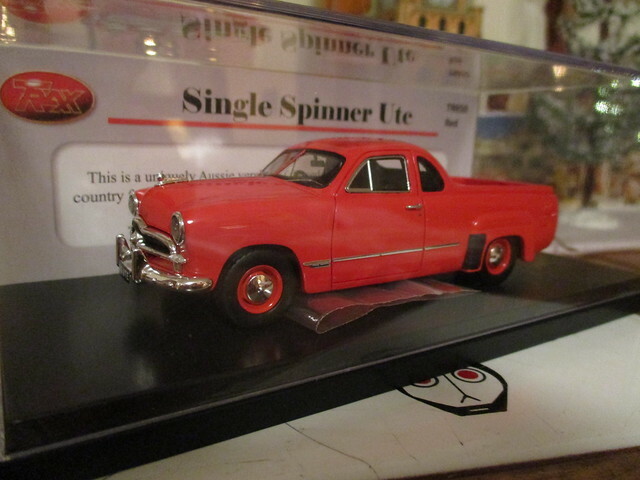 1949 Ford Coupe Utility by Trax. 1951 Ford F-1, Brazilian partwok. 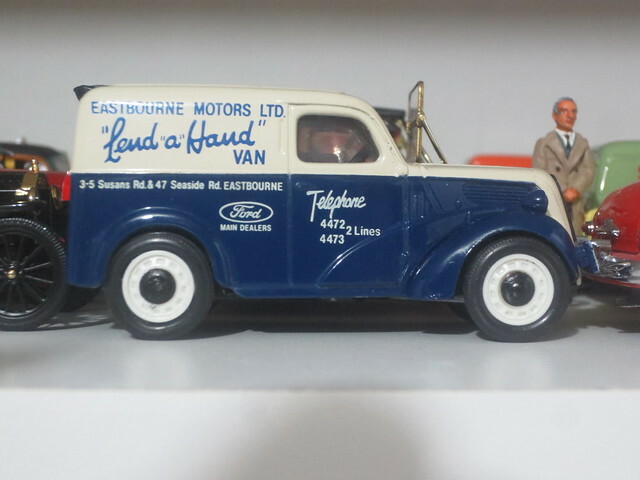 E494C Fordson 5 cwt van by Corgi. The red Transit is on my wish list. Love it. 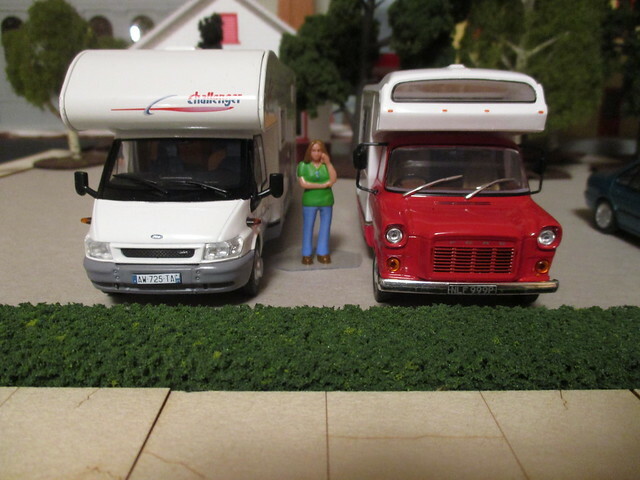 Until now, I was unaware of the French die-cast model company Momaco. 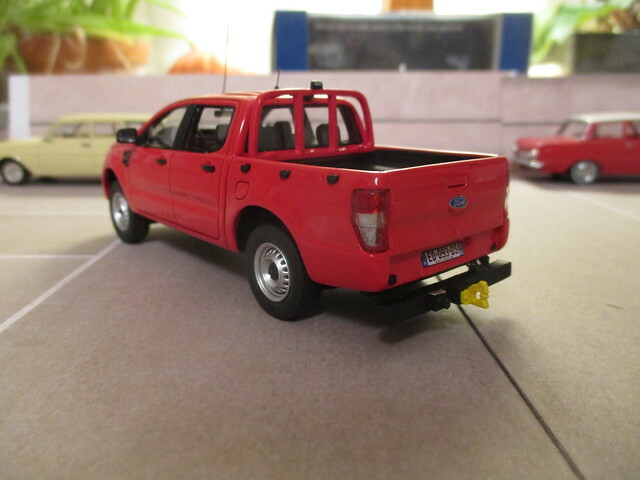 This year they started a new sub-line called Alarme and the first vehicle in that series is a 2016 Ford Ranger double cabin 4x4 pick up. 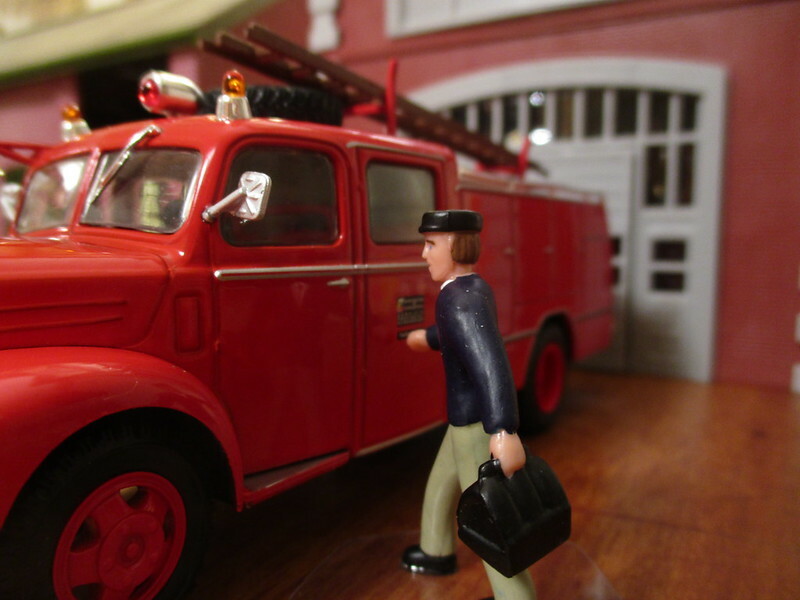 It comes in about five versions, all fire fighting rigs except this one civilian version. 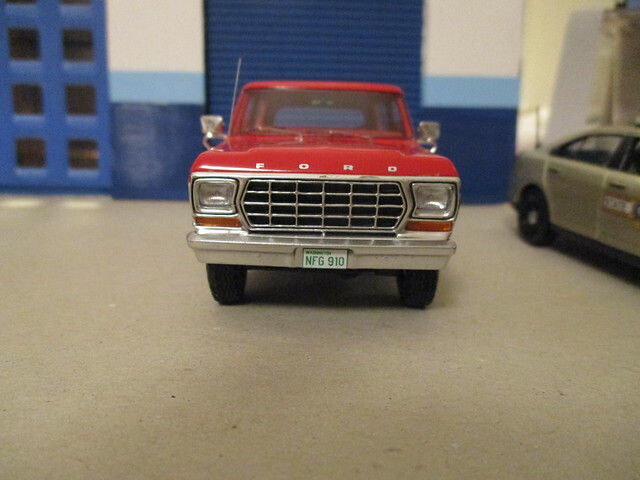 One odd feature of the model is that the licence plates and even the FORD emblems come a decals that the buyer has to apply. 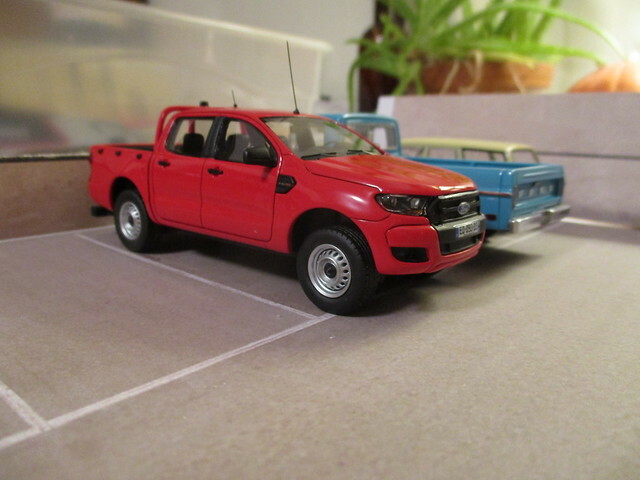 Having an example of the international Ford Ranger fills a big gap in my Ford collection. 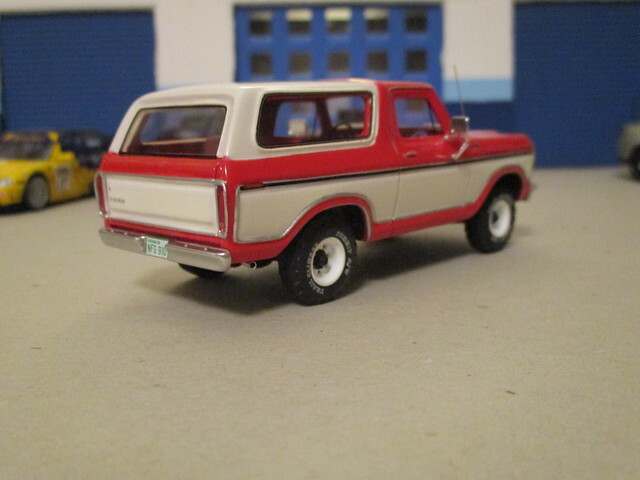 1980's Ford 9000 LTS from IXO articulated series. 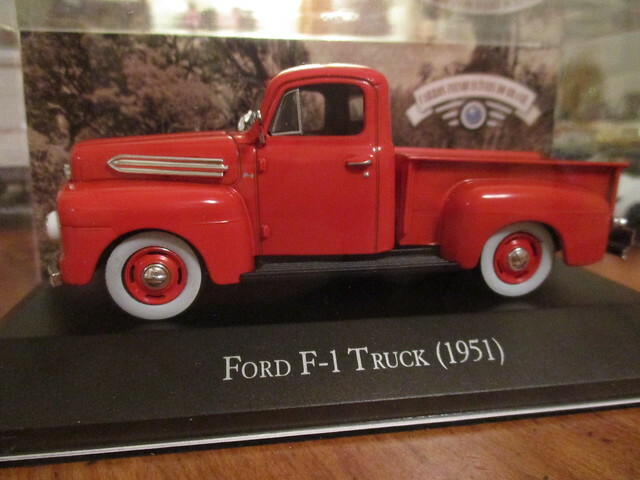 I was excited to see this truck on e-bay. I didn't buy it because I thought it was too expensive, but some day I hope to. 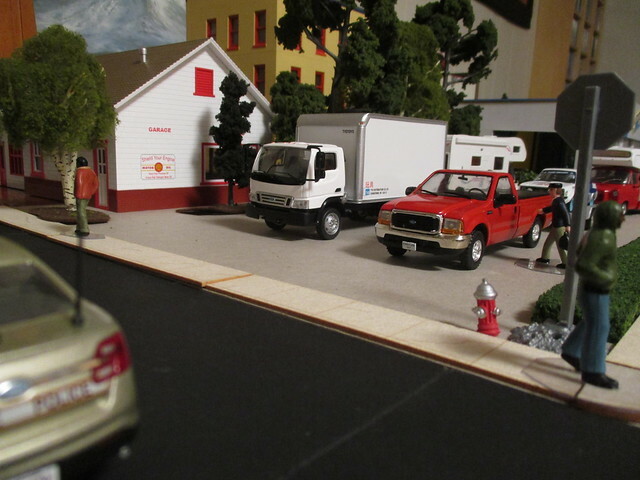 I noticed that the car hauler trailer is actually a 1950's European design (used first on a different model). Something like this would never be seen behind a long-haul truck like this Ford in the US . Last edited by IFHP on Sun Nov 25, 2018 12:32 pm, edited 1 time in total. That's one of the stupidest things I've seen from IXO. Stop being cheap, design a proper double axle trailer and you'll probably sell them by the thousands. As it is, these are likely to hit the bargain basement sale bins in record time. I like the Ranger, would not be surprised to see Greenlight end up doing a US spec one. The Ford 9000 looks great, the trailer is shite but they did a nice job on the cab. I would be afraid to start buying them as they take up soooo much room. 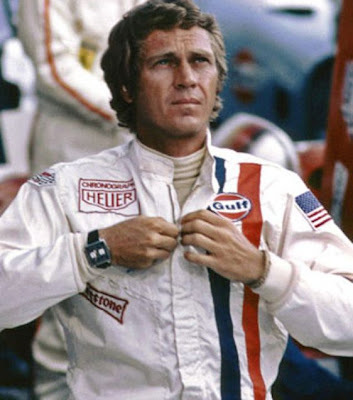 I like Ian's idea but I wonder if it costs an arm and a leg to license Nascar stuff? Many years ago I saw something like what Ian described at a swap meet. It was a red Louisville semi with NASCAR logos. I've never come across it since. Last edited by IFHP on Sat Feb 02, 2019 4:26 am, edited 1 time in total. Not a lot of torpedo nose trucks in Europe, most here are COE. Reason being a limit on overall length, what you save on the tractor can be used on the trailer. That design of car transporter trailer doesn't look familiar either. 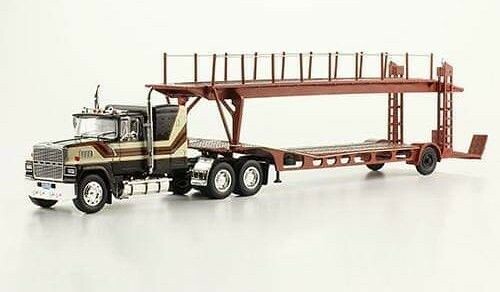 It will probably sell well anyway because of the lack of choice in car transporters in 1:43 and because most car guys are no truck connaisseurs. If you have a COE truck fleet you won't have any drivers in the US. They hate them and won'd get behind the wheel of them. Its funny because years ago, they were the norm. But trucker lore took over and they were deemed unsafe and that was that. Plus it doesn't hurt that they have a lot more room in the Conventional trucks. 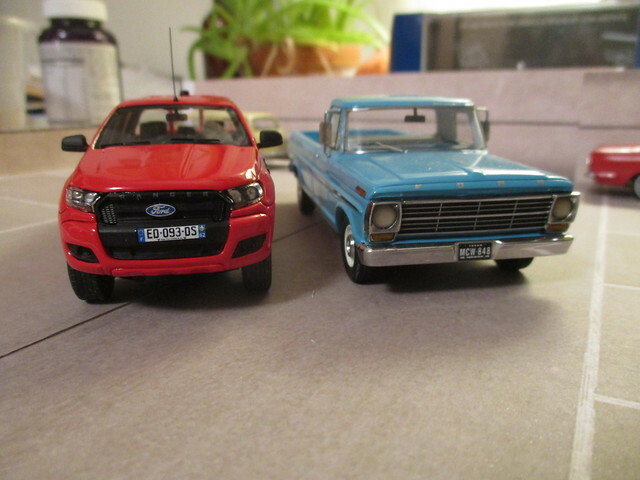 I see that a regular IXO version of the Ford 9000 will be offered in January (in blue). However it is the truck only, no trailer (as nearly as I can tell). The current state of my Thames ET4/6 and Ebro B-45 collection. I think that these are all made by IXO, but they appear to be different castings. 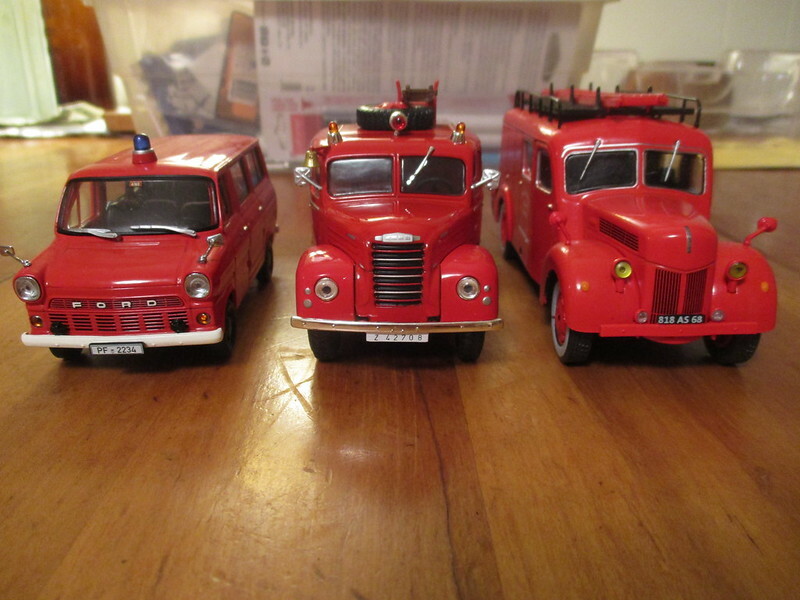 Three Ford fire trucks from Germany (Transit), Spain (Ebro) and France.